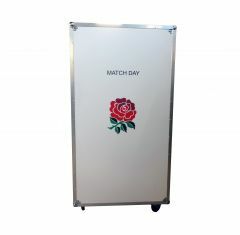 Keep your sports kit and equipment organised and protected with a custom drawer flight case from Absolute Casing Ltd.
Our sports drawer flight cases are designed and manufactured to provide you with maximum protection for your sports kit and equipment. Our flight cases are manufactured from only the highest quality materials to protect your kit and equipment from wear and tear caused throughout transportation. Your storage space can be customised with removable dividers and custom CNC routed foam inserts. Materials in your team’s colours. 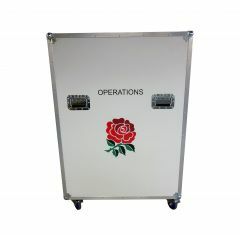 Please note: We do not keep stock of our sports flight cases; all our flight cases are made to order. Please contact us for an exact lead time.